Traverse Landscape Architects, formerly Birchwood Design Group, has launched its new brand and identity to support its evolution into a leading landscape architectural design practice. 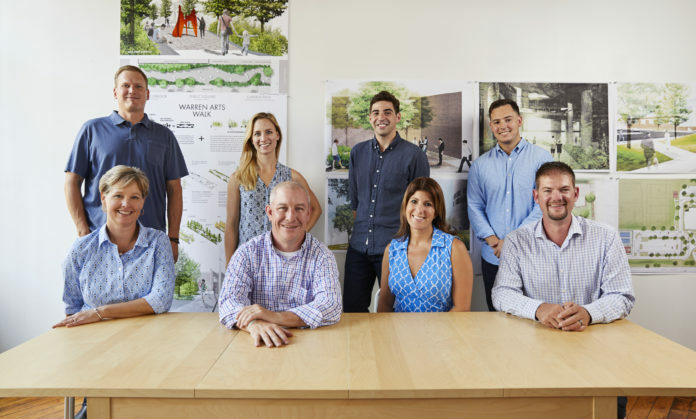 Founded in 2011, the firm has grown into a group of nine landscape architects, designers, and support staff with offices in Providence and Boston. Over the past six years they have become known for their willingness to listen, creative solutions, and experience in people-centered, ecologically sensitive design. The new brand identity reflects their core values and commitment to a participatory design process. Traverse Landscape Architects create unique and meaningful spaces that address the vital issues impacting people and the environment, while respecting specific budget, site and scheduling constraints. Traverse provides a full range of landscape architectural and planning services. Their projects range from parks and open space to athletics, civic, academic, commercial, hospitality, healthcare and residential garden design. Visit their new website at traversela.com for more information.